Honda have announced that cumulative worldwide hybrid vehicle sales surpassed 800,000 units as of the end of December 2011. This milestone was reached 12 years and 2 months after the start of sales of the first generation Honda Insight in Japan November 1999, which realized fuel economy of 35km/liter* then the world's highest fuel economy among all gasoline-powered vehicles. 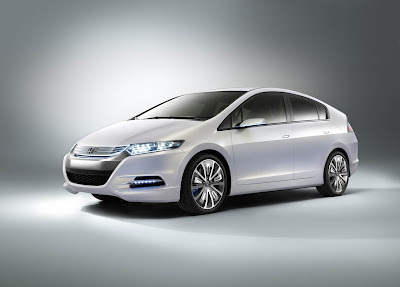 Honda introduced the first generation Insight, Civic Hybrid and Accord Hybrid equipped with Honda's original lightweight and compact IMA (Integrated Motor Assist) hybrid system. More recently, following the introduction of the second generation Insight in 2009, Honda introduced a total of six new hybrid models in the last three years to expand the hybrid vehicle lineup and sales. Honda's annual worldwide hybrid sales for 2011 was approximately 200,000 units (up 30% compared to 2010), and Honda's total hybrid sales during the last three years exceeded 500,000 units. In Japan, the ratio of hybrid vehicles exceeded 45% of all new Honda's vehicle registrations for the month of December 2011. Under the global environmental slogan of "Blue Skies for Our Children", Honda will continue its efforts to realize the further market penetration of hybrid vehicles to realize a low carbon society.